I’m reading about those changes in a new book called Streetfight: Handbook for an Urban Revolution, by the woman who played a big part in making those changes happen: Janette Sadik-Khan, former NYC Transportation Commissioner under Mayor Bloomberg (Seth Solomonow is co-author of the book). 89 percent of the space belonged to cars, even though 82 percent of the people passing through did so on foot. Since there wasn’t enough room for all the pedestrians on the sidewalks (and since so many people love to stop and pose for pictures, see goofy tourist above), many people just spilled into the streets and into the path of angry, frustrated drivers. They closed off Broadway to cars (through the square) and opened it to pedestrians. By routing vehicles around the non-grid-friendly Broadway (it famously cuts through the city on its own trajectory), they simplified traffic flow by restoring right angles. 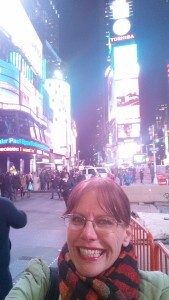 They made similar changes to nearby Herald Square. The book explains it in much more detail. Traffic overall moves 7 percent faster than before Broadway was closed (a move that most people thought would cripple traffic flow). The number of pedestrians injured in car crashes dropped 35 percent. Injuries for everyone–including people in cars–dropped 63 percent. 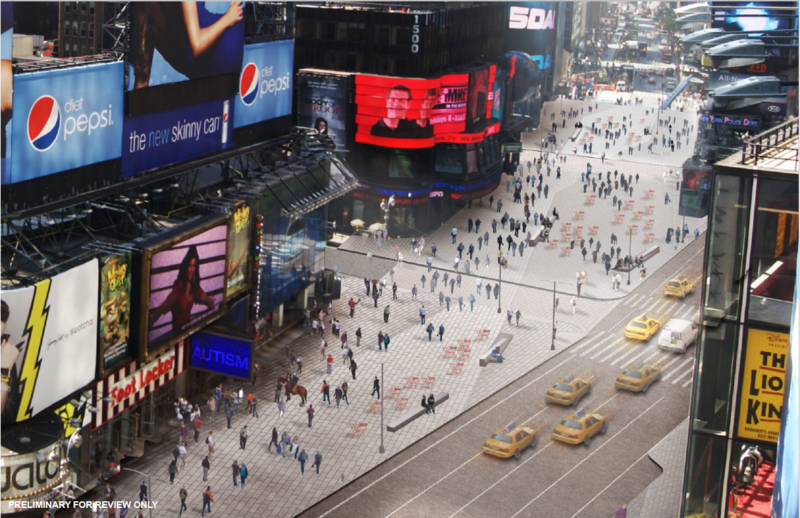 Local businesses benefited from better pedestrian access–so much so that by 2011 (two years after these changes), Cushman & Wakefield named Times Square one of the top 10 retail districts on the planet (for the first time in its rankings). What amazes me is they managed to convince a skeptical population to close off a major artery in the most crowded part of town. And it IMPROVED traffic flow. Go here for some great before-and-after shots of Times Square and other locations where innovative street design is making cities more people-friendly. And they’re not done with Times Square yet. These are renderings provided by Times Square Alliance. 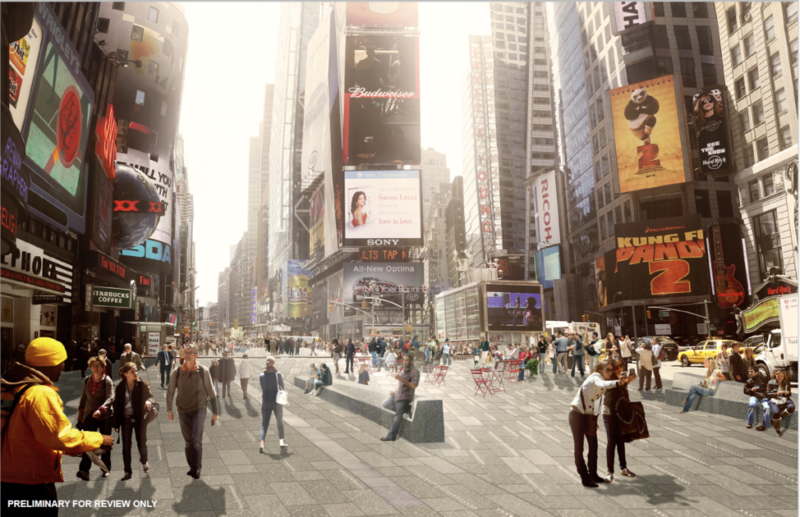 The Times Square Alliance collaborated with Snøhetta and the NYC Department of Transportation on the plans for the transformation. As a kid I was obsessed with New York City. The noise. The lights. The chaos. The crowds. The variety of ethnicities. The walk-up apartment buildings. The subway. The narrow streets. The brick buildings. The laundry strung from one 6th floor apartment window to another. The alleyways. I grew up out in the country in Clovis, California. Land of orange groves, almond orchards, grapevines, an annual rodeo, tule fog so thick in the winter the only way I knew where to turn to get home was by the Christmas lights the guy on the corner left on his hedges around his property, glowing all winter and only visible once I was within about 20 yards of the turn. But cities have always beckoned. I’ve now lived in the Los Angeles area for 28 years. I’ve been ignoring this blog for the past year and a half because I’ve been distracted with a different adventure – grad school. That leaves little time (and money) for travel. But I realized, hey, I could still write about city travel. Or other city things. I live in a city. I travel around a city every day. There’s plenty of city-travel-related-minutia I can obsess about. Actually, I already obsess about it, I just need to start writing about it. Ok, so here I launch what will be this year’s focus – OCDtravel in the City. All city-related topics are fair game. 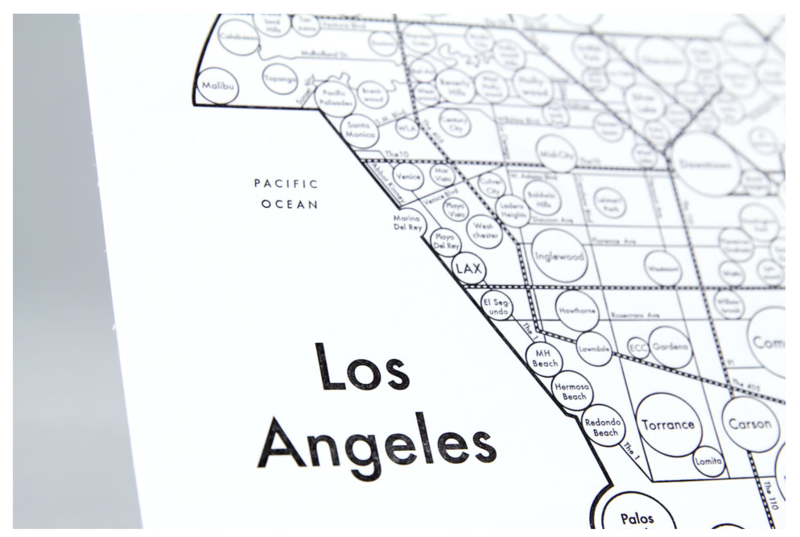 Not just LA … cities in general. 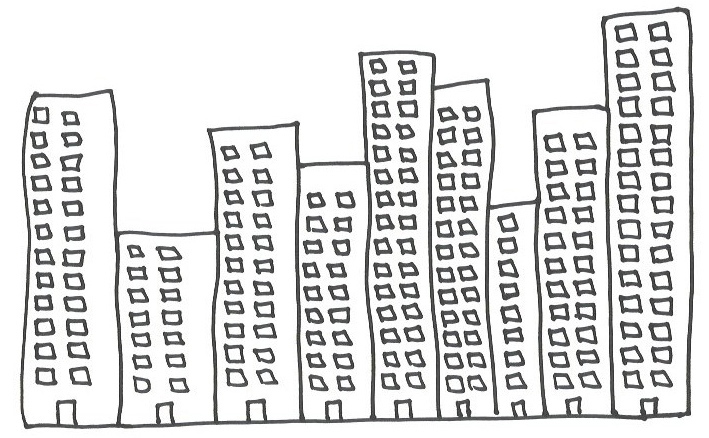 I also happen to be taking an urban design class this semester, so who knows what fun topics will emerge?! Here’s my first question – when your travel destination is a city, how do you get around? I usually walk as much as possible, and go for public transportation when walking won’t work. I love figuring out a city’s subway system.